Exchange VSS Writer (instance 9a348c8f-7bdc-4dc6-a142-a5da187b36a1:2) failed with error code -2147467259 when checking volume dependencies for storage group '00000000-0000-0000-0000-000000000000' in preparation for backup. Information Store (2824) Shadow copy instance 2 aborted. Exchange VSS Writer (instance 9a348c8f-7bdc-4dc6-a142-a5da187b36a1:2) failed with error code 1006 when preparing for Snapshot. the error may not reoccur.
. Changes that the writer made to the writer components while handling the event will not be available to the requester. Check the event log for related events from the application hosting the VSS writer. Command Line: "C:\Program Files\Microsoft\Exchange Server\V14\bin\store.exe"
After some research, I’ve found VMware KB article 1031298. 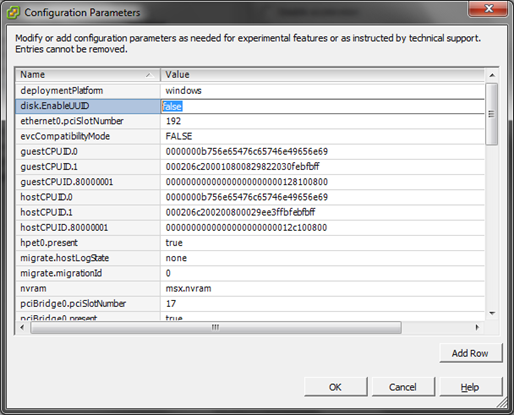 The flag disk.EnableUUID needs to be changed to false on per VM basis. This flag controls the VSS creation mode which can be either application-level (true) or file-level quiescing (false). 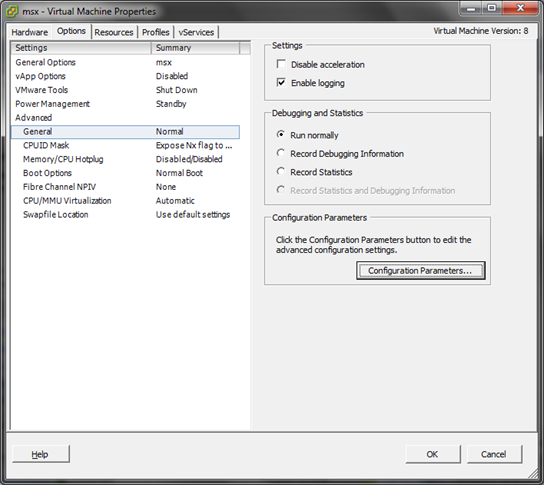 With this change in place, the vStorage backup of the virtual machine works like a charm.